Who performs an oral surgery procedure? How can I prepare for an oral surgery procedure? Good oral hygiene is the best preparation for every oral surgery procedure. However, prior to surgery, you should consult with your dentist and surgeon to discuss outcomes of the oral surgery procedure and any medications you may need. It is important to know as much as possible about the procedure you will be receiving. It is also important that you be prepared with appropriate medications prior to surgery to handle any pain or side effects that may occur following surgery. Make sure a loved-one or friend will accompany you to and from your appointment. Depending on the procedure and the anesthetic used, you may not be capable of driving after surgery. Wear loose-fitting, comfortable clothing and a short-sleeved shirt or top. Avoid wearing contact lenses and jewelry. You should not eat or drink (including water!) for six hours prior to an oral surgery procedure, especially if the surgery requires general anesthetic. This is for your safety! Your stomach should be empty before surgery to decrease the risk of complication during surgery. Additionally, you should not smoke at least 72 hours before the procedure. Smoking prior to any surgical procedure increases the risk of postoperative heart attacks, blood clots, pneumonia and possibly even death. So be on the safe side! Follow all eating, drinking and smoking guidelines as outlined by your surgeon. Impacted Teeth: Teeth that fail to emerge in proper alignment because they are trapped between the jawbone and the gum tissue, will likely need to be removed with an oral surgery procedure. Wisdom teeth (sometimes referred to as your third molars) are some of the most common cases of impacted teeth. Failure to remove these troublesome teeth can cause permanent damage to surrounding teeth, gums and bone. Tooth Loss: Dental implants are an alternative to dentures if you have tooth loss. Implants are surgically attached to the jawbone and stabilize artificial teeth. Not everyone is a good candidate for dental implants. If you have good bone levels and bone density, are not prone to infection and are willing to practice good oral hygiene, you could be a good candidate. Jaw-related Issues: Unequal jaw growth and temporomandibular joint (TMJ) disorders may require an oral surgery procedure. Unequal jaw growth occurs when the upper and lower jaws fail to grow properly. This condition can cause difficulty in speaking, eating, swallowing and breathing. Surgery to adjust jaw positioning can improve function of the jaw. TMJ disorders (TMD) can cause headaches and facial pain. Surgery is an option for advanced TMJ cases to correct specific problems in the joint. If your need for an oral surgery procedure has occurred, contact Sherwood Dental at (780) 464-4166. 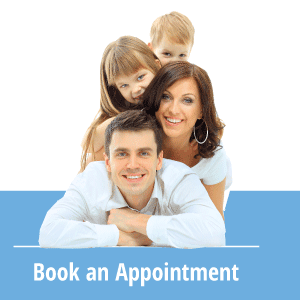 Sherwood Dental can complete your extraction or refer you to an OMS who is trained to treat your specific need and answer questions you might have.